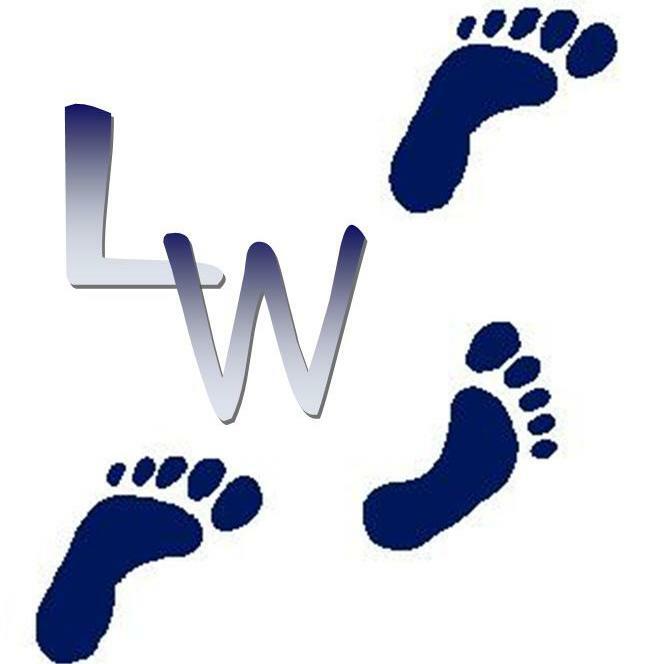 If you’ve been paying very close attention to the ‘Leadership Wednesday’ strand of this blog you’ll have spotted that one or two of the headings listed on the LW page have just been floating there unwritten for several months. This is because they are things that, for one reason or another, I haven’t quite been able to get my head around. Take today’s topic for example. Every book I’ve ever read on Leadership, every message I’ve heard preached about it, everyone I’ve ever heard speak about it in any way has mentioned the importance of building good people around yourself, both in terms of hiring your teams and in who you choose to spend time with personally and professionally. I’ve got a couple of problems with this, and have never been able to get the leaders I’ve known to give me any answers – so today is more about asking questions than sharing answers – if you can shed any light, I’d love to hear from you! My first question is, quite simply, How? It’s all very well if you’re naturally a strong, charismatic leader who people want to gather around – then you can pick and choose – but what if you’re an emerging leader, or even not a leader at all but want to learn from others? The thing about the good people is that everyone wants to be around them, and they are busy choosing who they want to build into their networks. If you’re a bit quieter or don’t really have anything to offer them, how do you build them around you? One option is to seek out new, younger (or as yet untapped) leaders to bring onto your team, teach, nurture and build up. If you’re not yourself a high-flyer, though, they’re quickly going to want to move on – and you’ll want to encourage them to. So if you do your job well, pretty soon they won’t be ‘around you’ any more. Secondly, what if you don’t have control over who’s on your team? You may be a small group leader in a church or a ministry working with volunteers, or with people who have been assigned to you, or maybe you’ve just taken on a leadership role in an office or factory where the staff are pretty well established already. You can’t go round firing people just for the sake of being able to ‘head hunt’ the kind of people you want around you. There are very few jobs which allow you to pick your team all in one go. How do you work with what you’ve got, even if they’re not the best? My third question is more of a philosophical objection to the premise: What about caring for the people who can’t be of use to you, but need building up? It seems to me that Jesus didn’t look for the best, most dynamic speakers and administrators and leaders when building people around him – he took those who had willing hearts and would submit to and learn from him. It seems much more in keeping with his way of operating to seek out the weak, weary, sick, downtrodden and broken-hearted; to care more about those who need you than those who can feed you. If I am standing around chatting after church, or at a work event, wouldn’t it be better for me to seek out the person standing on her own, looking lost and lonely rather than the person in the centre of the crowd who can bring me reflected glory and access to people of power and influence? I want to spend time with people who will spur me to be better, do more, develop a closer walk with the Lord, but those people are already busy doing that for so many others, how can I ask them to spread themselves even thinner? The root of the problem is that churches and Christian organisations are trying to create psuedo-businesses. They look at how successful businesses are run and try to emulate them. The very questions that trouble you point to the fact that there is no such concept in God’s Kingdom. Just as God has only children and no grandchildren, so too God has only followers and not followers of followers. Leaders in God’s kingdom have the function and purpose of helping others to follow God. They are personally accountable to God for the work they do and can find all the skill and resources they require for their allotted task from the Master Himself. When God called Moses, that great leader of the people, He provided Aaron as a helper out of exasperation. Later when Moses’s father-in-law told him to appoint other people to help him in the work it was not to help him in leadership but to take from him the delegated responsiblity to undertake non-leadership functions which Moses had taken upon himself and was too burdened by them to have any time left for leadership. All the leadership that he gave was his sole task. I would suggest that in the history of the church there have been very few real leaders because there has been little need for them. Martin Luther, John Calvin, John Wesley, William Carey, George Muller, George Verwer, and K P Yohannan are the only ones that come to mind (but you may be able to identify others). In each case they had (or have) a specific task given to them by the Lord Himself to cause His people to change direction or see a new, additional, path they could follow. They did not perform their obligations by team work. They each trod lonely, often misunderstood, paths to proclaim the unique message they had for their time. I am sure that if you ask any of them (in this life or the life to come) they will say that they did not seek followers, nor did they want anyone to listen to them. They sought/seek to encourage people to listen to what God was/is saying and to follow Him. If you look at the two key passages about spiritual gifts (1 Cor 12 and Eph 4) it’s all about equipping individuals for their own specific tasks all of which are to serve the body of the church and to build it up. It’s not about making leaders. Oh, and if you’re ever wondering what your spiritual gifting is, then next time you see someone standing around looking lost and lonely and you feel motivated to go and speak to them, you’ll know your gift. It’s pastor. Now, can the people who have appointed themselves leaders of your church cope with the concept of you being the pastor? What is a pastor anyway? Is it the one at the top or the one at the bottom? Is it the one who says ‘do this’ or the one who says ‘what can I do for you?’? Wow, thanks Dad, this is really helpful and thought-provoking. However, both you and I have been placed in positions of responsibility; we may not be leaders in this sense of having a special calling and anointing from God for a specific task at a specific time, but we still require both assistance in our roles and, I think, people around us who can encourage us, hold us accountable and bring correction/admonition to us when it is needed. I guess this post got a bit muddled in the distinction between building good teams and finding people who will sharpen and shape you. Thanks for giving me the opportunity to clarify that! Very thought provoking stuff and was challenged by what Father Stephen says. I think I agree (mainly) but I do think that leaders also have teams to support them and for them to lead. What I have found is that God has always given me people to challenge me, people to be challenged by me and always people to help me. As I dont work in the Church they are often non believers but God works through them in any event. I would pray and ask God to lead people to you. And although this post wasnt entirely about you, as someone who knows you would would be surprised as to how valued and respected you are. Look at Isaiah 30:19-21. On the pastor front-I completely agree-we are all called to pastor and care for one another. Some will be more anointed than others in different areas but overall we are all supposed to love God and love one another. So I would hold guidance on how to be a great leader lightly-it can be very valuable in helping you make the most of yourself and your gifts to the glory of God-but it isnt scripture!! Thanks so much, Sara. I’m honoured you made time to stop by after your big week! I appreciate you challenging me – gently, lovingly but firmly. Hope you quickly find a good mix of people to challenge you, help you, be challenged by you and be helped by you in your new job! Sadly, much damage has already been done to innocent people. People of integrity and honesty and warmth, (who can have absolutely no inkling of the machinations that can go on under the disguise of “being a Christian.”) can get a real shock when faced with false allegations of sins that are purely imaginary. And a further shock when their reputations are deliberately dragged through the mud for decades, as a result of pure evil and a desire to be competitive. As Sara has wisely pointed out, she’s there to “pastor” people who do that. I did fall about laughing.